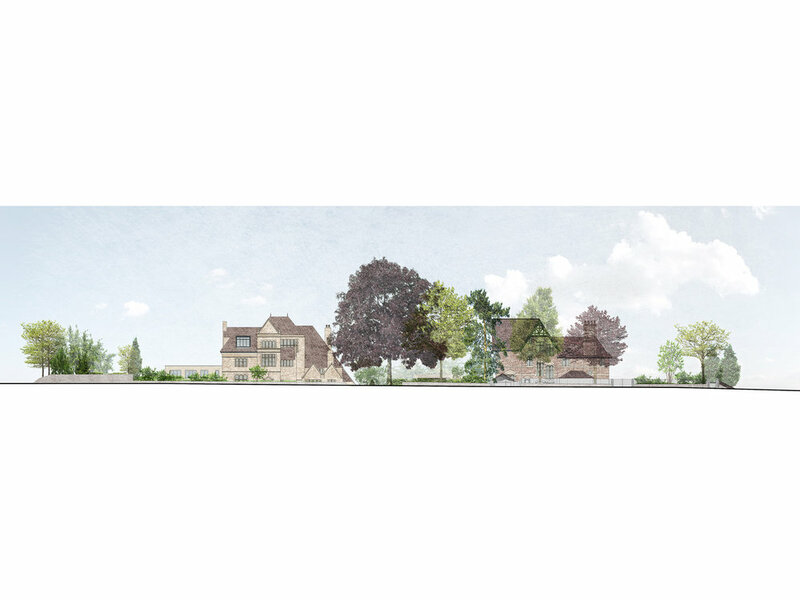 Planning has been granted for this new house in Sneyd Park, Bristol. The house is embedded in the hillside between two impressive grade II listed buildings. It has a minimal impact on the sensitive street scene and the massing and materials closely reference the context.